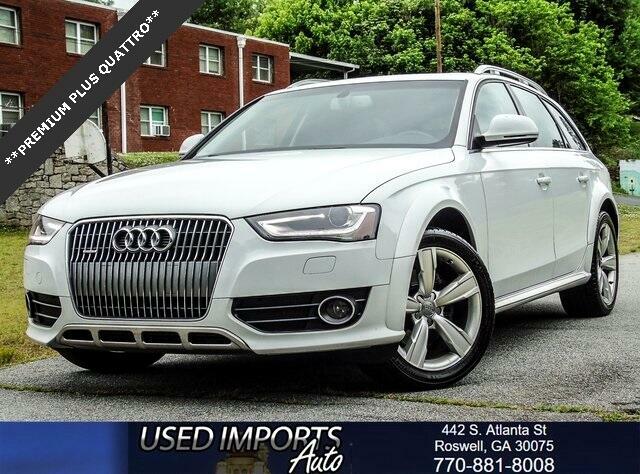 **PREMIUM PUS QUATTRO**NAVIGATION** BLIND SPOT MONITOR** REAR PARKING AID** HID HEADLIGHTS** BACK UP CAM** LEATHER SEATS** DUAL ZONE A/C** POWER SEATS** STEERING WHEEL CONTROLS**DUAL CLIMATE CONTROLS**IMMACULATE CONDITION**MUST SEE**CALL US TODAY!! CALL 678-720-9710. FINANCING AVAILABLE WITH QUALIFIED CREDIT!! Message: Thought you might be interested in this 2014 Audi allroad.